The Hunt for Big Bot | Out of the box. Resisting the temptation to sleep longer on a cool rainy Saturday morning. Waking up as early as 7.30am GMT +8 on the 30th May 2009. On an empty stomach armed only with a camera, drove the car for 20 minutes under such harsh but nice-to-sleep weather to Gurney Plaza (Gurney drive, Penang, Malaysia) for a hunt. The ultimate prey of the hunt, an alpha male of the group in red, blue and grey. A priced and ultimate prey for all the hunters, nick named Big Bot. 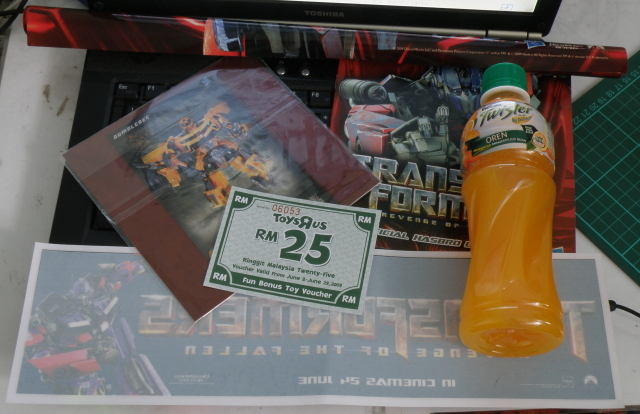 Upon reaching the destination, parked the car in a cost effective area (saving of RM3). 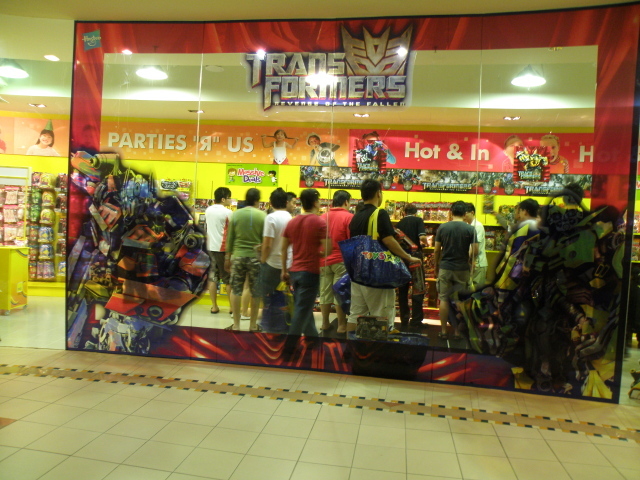 Braved through a series of maze and labyrinth cargo lift and quiet hallways to reach Toys R US minutes before the launch. There is already 5 brave souls arrived waiting. And yes they are hunting the ultimate prey. There is a catch, only one person are allow 1 Big Bot and you can only be able to purchase is you are a member of Toys R Us star card member. A girl friend guarding her mate´s stuffs. I did not realize how frantic the shoppers are until I have got out of the premise. Realized that some bring their wife/GF to watch over their purchase while they continue to buy more. Didn´t manage to talk to my friends, most of them went home after they got what they want. 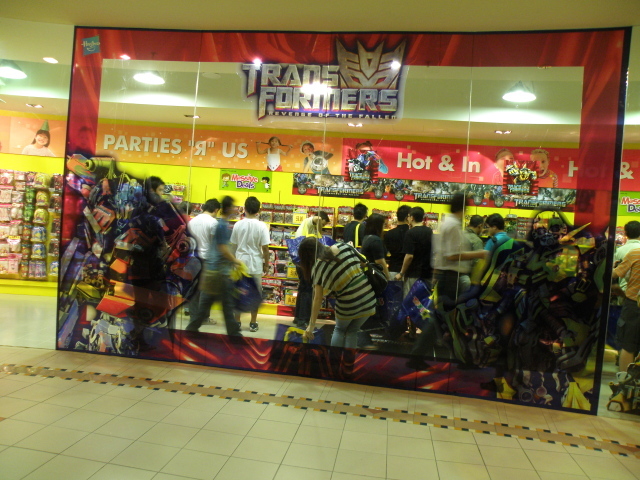 There are multiple shoppers that literally bag the Transformers toys and merchandise. Just went home after the random photo shooting. Exit using the main door for Gurney Plaza is officially open. A good buy I would say. 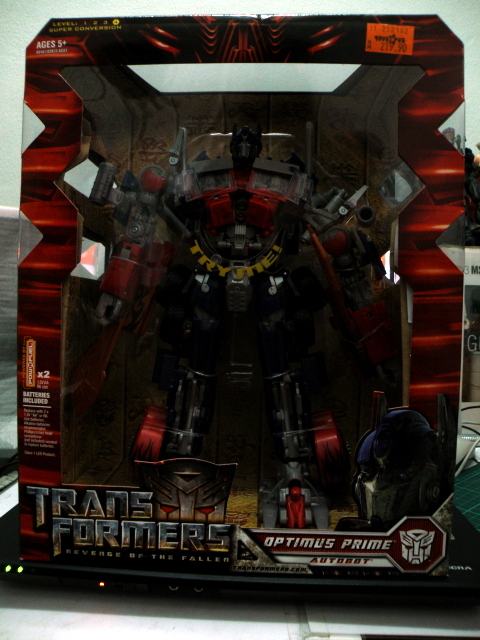 Sorry to disappoint Takara Tomy supporters but I unable to tell the differences of Hasbro and Takara Tomy leader class Optimus Prime toy. And I would not pay more for a mere sticker. On top of that the toys are all made in China. Well this is how a fine Saturday morning spent. 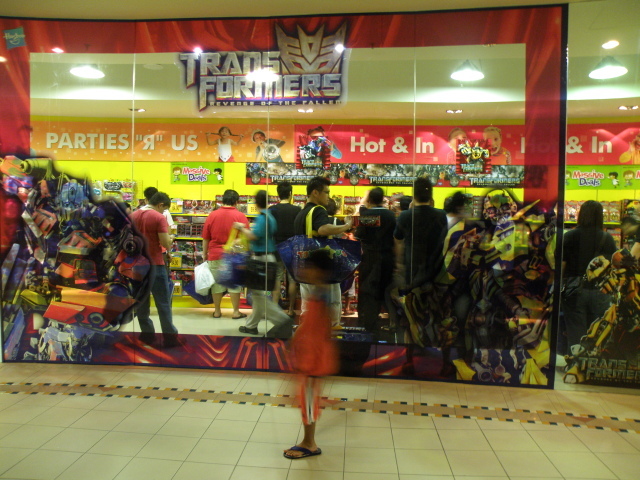 This entry was posted in My Hobbies, Social Event and tagged Big Bot, event, hasbro, hasbro transformers, leader class, optimus, optimus prime, revenge of the fallen, ROTF, slice of life, social, takara, takara tomy, takaratomy, Transformers by KarMeng. Bookmark the permalink. wow thats good. where the location ?